CC: When did you started to become passionate about Kit Kat? From as far back as I can remember, I have always loved food of all sorts! I would go as far as to say I was a food critic since I was still inside of my mom! 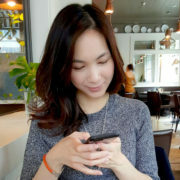 Moving a bit forward in time, you would always hear me rapping with my Singlish (Singaporean accent), “Singapore lemon chicken rice” in elementary school. Throughout high school, friends would occasionally hear me whine about missing food from my hometown, Singapore. During post-secondary, friends would begin to hear me rave about how well food is for me at home. Shortly after that, the magical month of May in 2013 came by, and I found myself in Tokyo for the first time in my life as an adult. Being in Tokyo for my friend’s wedding exposed me to the abundance of flavors Japan had to offer and that is the precise time in my lifetime when my passion for Kit Kat kicked in! CC: Tell me some of the Kit Kat you have found that surprises you. Speaking of my passion for Kit Kat, the Passion Fruit flavor was definitely one of my favorites of all time. Growing up in Singapore, I used to have a “makisa” drink. “Makisa” is a passion fruit drink that is very popular in Singapore, Malaysia and the surrounding area in my time and having this Passion Fruit Kit Kat really brought me back to my childhood! One of the first KitKat flavor that I tried in that trip to Japan was the Uji Matcha Latte variety. Many people frequently question about my favorite flavors and this is definitely one that is up on the list. The fact that there is a Uji Matcha flavor that is so much less superior in terms of flavor, is very surprising. I hate to say it, but the Uji Matcha Latte flavor was a limited edition flavor and you may not get to try it in the future, unless if Nestle Japan decides to put it out again. It was so milky and almost had a porous sense to it inside. 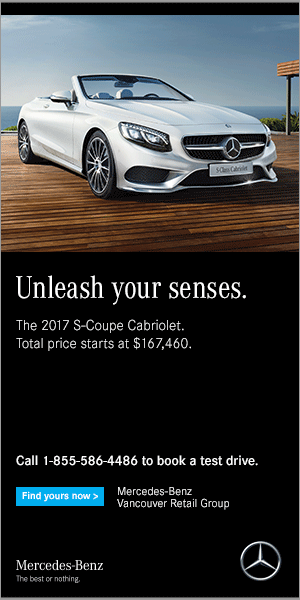 What is so good about it being porous inside? Well, if you had an Aero chocolate before, you would totally understand why. You know, I could go on forever, but I will cap it off here with a third flavor of KitKat that has surprised me so far. Anyone who eats out with me, and catches me having a dish with clean lemon knows that I will eat the lemon with its skin. I do this not only to aid with digestion, but also because the strong and sour sensation that lemon provides is so great at waking me up – not to mention, I actually enjoy the sensation! While I have not tried this flavor of KitKat yet, I do anticipate that the flavor will surprise me. This is actually the latest flavor that just came out in the UK. A friend of mine visiting from London, UK had purchased a pack for me to try and I cannot wait to try it out – but of course, not without videotaping myself goofing off to that! Something noteworthy about this flavor is that people in the UK seem to dip their chocolates and other desserts into their tea. If you take a closer look in the picture, you will notice that there is a sign on the bottom right of that. This will be the first time I try having tea or coffee with Kit Kat, keep an eye out for that video! CC: Imagine if you can create one Kit Kat of your own, what will it be? 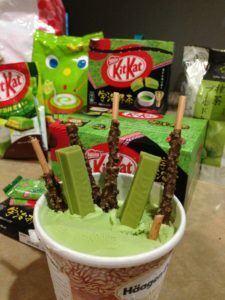 While KitKat has recently collaborated with Tokyo Banana in making the Tokyo Banana Kitkat and absolutely knocked my world upside down, I have to say the Uji Matcha Latte KitKat variety would stay on top of that. You can tell by now that I am a matcha fan, just like most other people are nowadays. 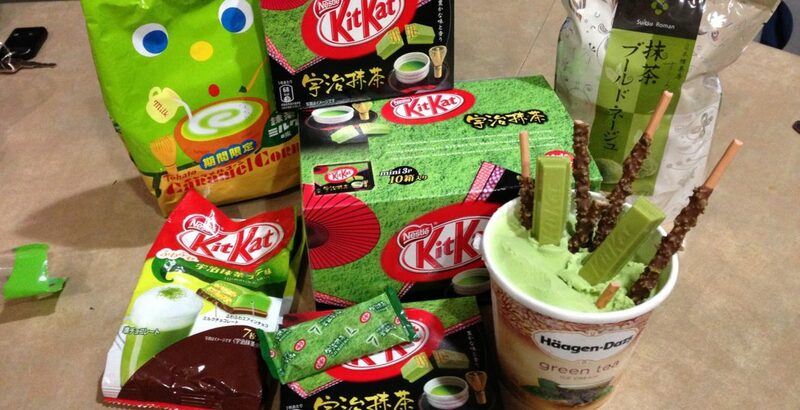 In fact, when I came back from Tokyo, I mixed the Uji Matcha Latte KitKat, Uji Matcha KitKat, with other matcha snacks with the lovely green tea Haagen Daaz ice cream and cannot forget how flavorful it was! However, thinking about other snacks that Japan has to offer that absolutely catches my attention in full, a couple other snack competitors come to mind. Yoku Moku and Shiroi Koibito. It would be ABSOLUTELY AMAZING if they came up with a few with this collaboration that I would ABSOLUTELY support creating on my own – or, please help us out Nestle: 1) Yoku Moku and KitKat – butter biscuit KitKat ; 2) Shiroi Koibito and KitKat – White chocolate KitKat. I know, the second sounds rather boring, but if you have ever tried one of the Shiroi Koibito white chocolate snacks, you would agree with me that it is phenomenal with the biscuit. 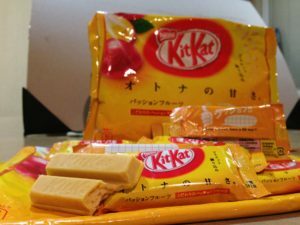 Aside from the Japanese culture, I also am a sucker for Peanut Butter, but there is already peanut butter KitKats in various places. Buuuuuuuuuttttt, there could be an amazing collaboration between Reese and KitKat… just saying! Finally, Malaysia’s KitKat Chocolatory master-chocolate-chefs have beat me to other flavors I would have implemented: the king of fruits… DURIAN and Nasi Lemak! I have not tried these two myself, but I would absolutely love to at some point! CC: Besides hunting down delicious and rare Kit Kats all over the world, what other things trigger your Sweet Hunter sense? Quite frankly, I enjoy trying a variety of snacks and a variety of flavors! While I only collect KitKats, if I were to have decided to collect Oreos and Pocky alongside, I would have an abundance at this point as well! 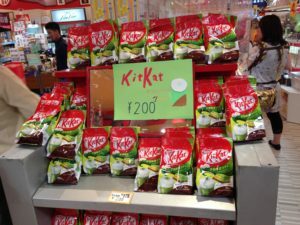 However, the story behind KitKat in the Japanese culture is what captivates me and that is my main obsession! Going back to the previous question, you might have noticed that I enjoyed stashing snacks onto ice cream! Well, that has not changed – in fact, I did go through a fairly horrible eating phase when I would go through a tub of ice cream in one seating, anywhere from 3 to 4 times a week. No, I am not talking about the small Japanese tubs either, I am talking about the huge 1.5 liter to 2 liter ones! I am very happy to have gone through that phase at this point in my life, but I still do enjoy indulging in ice cream, and that would be the thing that triggers my Sweet Hunter sense. In fact, when I went to Otaru, I had to get this beautiful and amazingly flavorful stash! 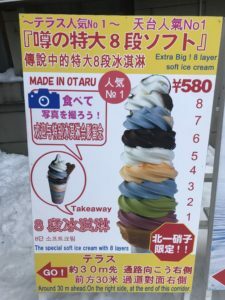 This only cost 580 yen and had 8 amazing flavors. 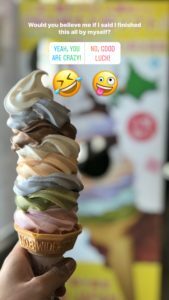 Contrary to the cheap ice cream stack you get in Korea, which typically tastes horrible, this was easiest THE BEST ice cream I had for this cost! I have paid more for it… but you know what is missing on it? Some KitKats! CC: What would you like to achieve with your Kit Kat journey with Kit Kat and 5 years from now where do you see yourself with this Kit Kat adventure? There is nothing I would like to achieve more than to have an army of people having plenty of breaks and plenty of KitKats with me. That is the end goal – that is the dream life! While I do not see that happening within the next 5 years, I do envision myself sleeping in a room filled with empty KitKat wrappers, empty KitKat boxes… and also stacks and stacks of various KitKat flavors for me to indulge in with my friends and family – and who knows, maybe with you too, if you join in my dream life! Until then, I am going to excuse myself to have a break and have a KitKat!